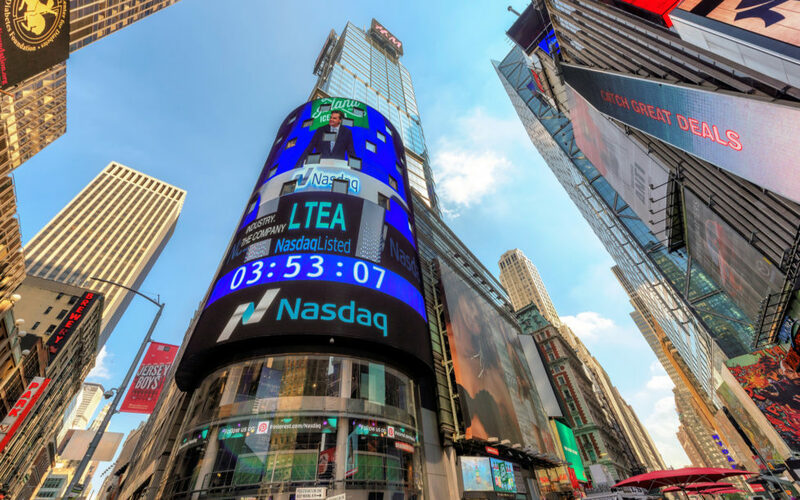 Nasdaq has partnered with an Estonian digital trading platform to launch the first Ethereum based tokenized stocks regulated under European Union laws on January 7. In a press release Thursday, DX Exchange confirmed it would offer users the option to trade big-name stocks using tokens on the Ethereum blockchain via smart contracts. The product of a multi-way partnership, the launch will make DX the only exchange licensed to offer tokenized stock products in the EU. “Digital stocks combine the best of both worlds: blockchain technology and traditional stock investments,” the release reads. Digital stocks are backed 1:1 to real-world stocks traded on conventional stock exchanges. You purchase tokens for leading assets that you choose to invest in, such as Google, Amazon, etc. Therefore, when you are a token holder, you own shares of the company. DX stressed that the new stocks were tantamount to physical exposure, in contrast to trading contracts for difference (CFDs). The launch is just around the corner! To realize the project, the exchange has partnered with Nasdaq and will use its Financial Information exchange (FIX) protocol, in line with the majority of US firms active in the market. The stocks to back the tokens will be acquired by “exclusive” partner MPS MarketPlace Securities Ltd. The company “issues tokens that represent stocks on (the) Ethereum blockchain via smart contracts, and buys and holds real-world stocks according to demand,” DX explains. …The tokens offered for sale will be based on leading public company shares listed on the biggest exchanges like NASDAQ, NYSE, Hong Kong Exchange and Tokyo Stock Exchange. Nasdaq itself is rumored to begin offering Bitcoin futures in the first half of this year, while New York Stock Exchange owner Intercontinental Exchange is still on track to launch physical futures contracts later in January. This week meanwhile also saw Galaxy Digital founder and CEO Mike Novogratz increase his shareholder stake to 80 percent of the cryptocurrency merchant bank. What do you think about DX Exchange’s tokenized stocks? Let us know in the comments below!